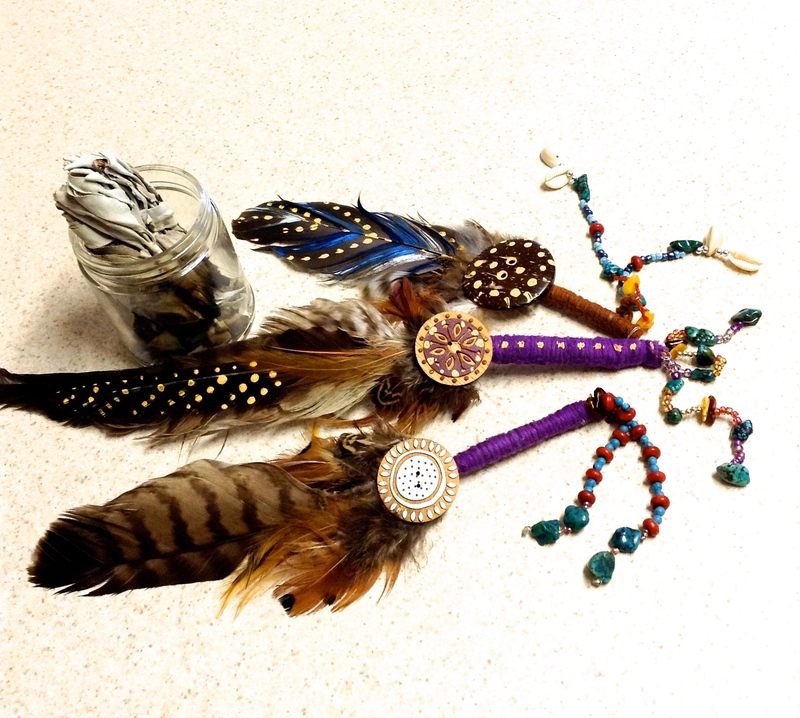 DIY fun with kids: Smudge wands made from hawk feathers we found in nature, semi-precious crystal beads, yarn, paint, and old buttons. Are you sure that they are hawk feathers? It is against federal law to own raptor feathers (hawk , owl, eagles) and some other types of migratory birds, UNLESS you are a registered Native American. well in the USA any way..
i make custom-hand-made glass beads in any size and color pattern. 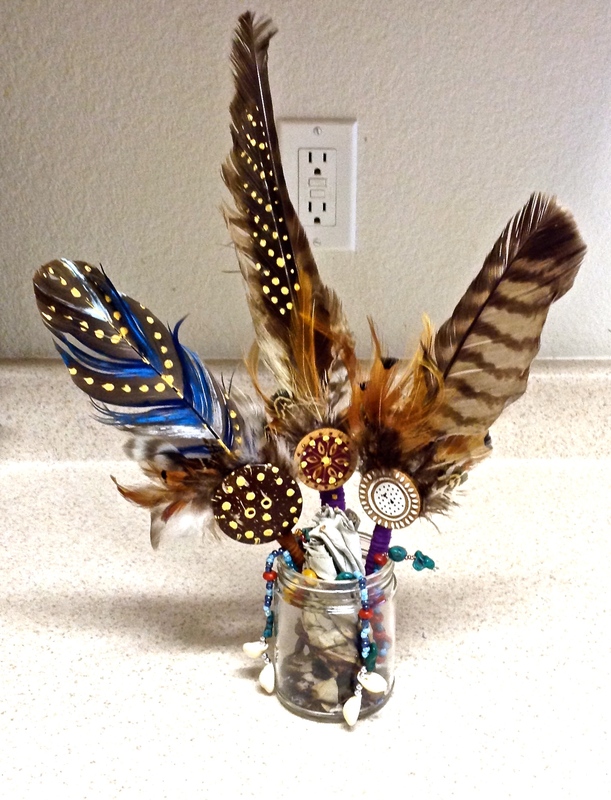 How can i let people know they can get beads for their smudge wands?